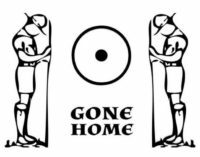 It is with great sadness that we have to inform you all of the sad passing of 3rd Chalkwell Bays Group Scout Leader Ian Johnson. Ian was taken unwell last night and sadly died. This will come to a great shock to many and he will be sadly missed considering the thousands of young people and adults that he has supported and led over the years. He was a prominent character in the community serving with Essex Fire and Rescue Service, St Johns Ambulance, the Scout Association and many other organisations. His community spirit and dedication saw him achieve being a Freeman of the Borough of Southend and more recently MBE. As more details emerge they will be communicated.